It has been a great blessing for me to have been serving as a police and fire chaplain for the past eleven years. My interest in chaplaincy began when I was asked by a number of inmates to serve as their Orthodox chaplain in one of the state’s prisons. Spending one full day a month in two of the prisons in Monroe, WA., I managed to make a number of friends among the guards. 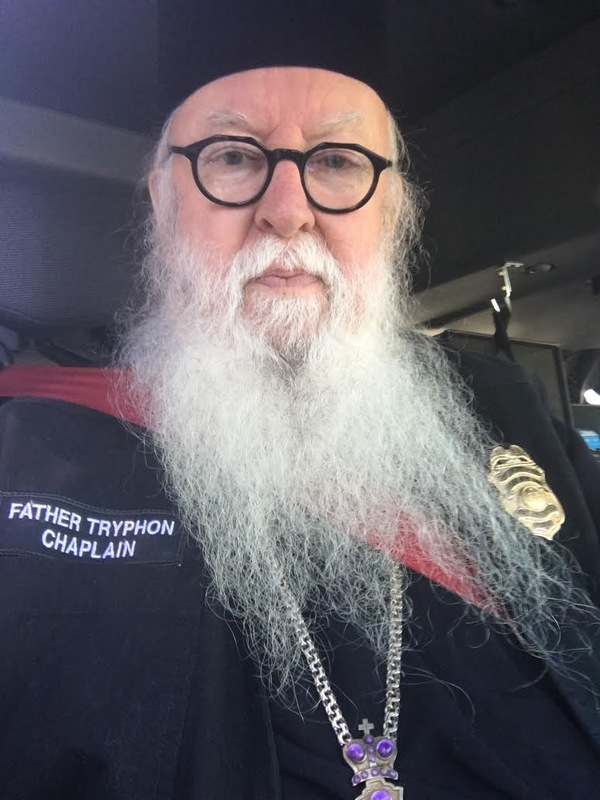 Because such open friendships could be dangerous, should inmates see the chaplain as a friend of the enemy, I had to keep my contact with guards to a minimum. After eight years of serving the spiritual needs of inmates, I decided that I wanted to serve those in law enforcement and fire service. 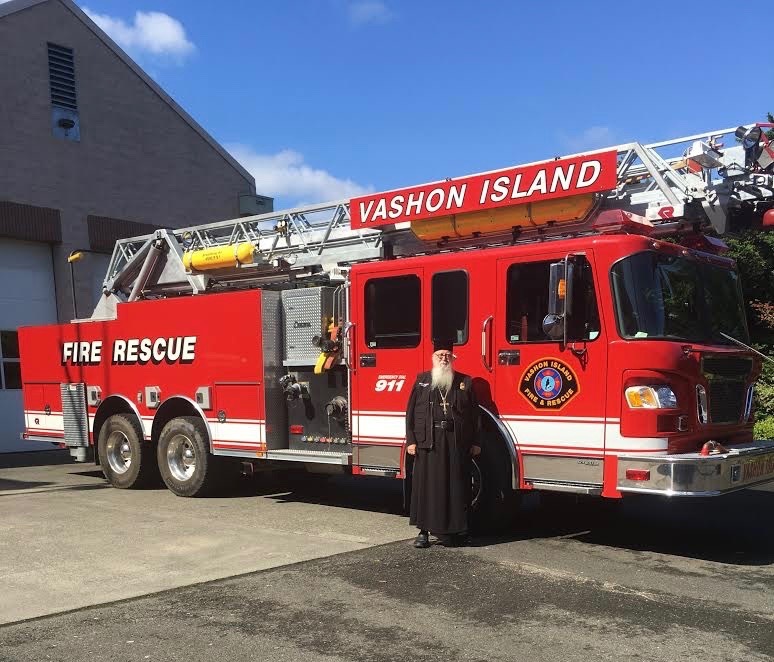 Vashon Island’s Fire Department, had not had their own chaplain in some thirty years. When you live on an island that is accessible only by ferry, there were many occasions where a chaplain was needed, but none was available, especially in the dead of night when the boats were not running. 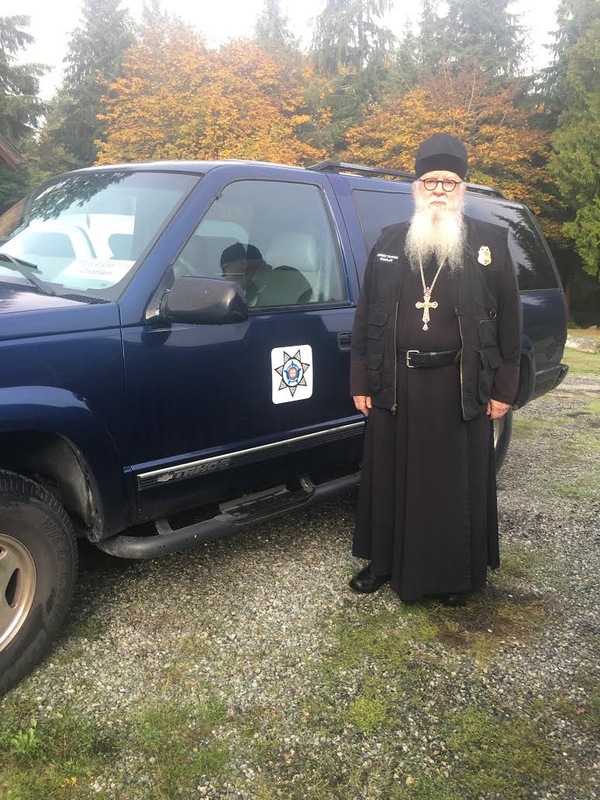 Following a number of tragic events on the island, I finally offered my services and went through a formal week long training through the Police Chaplains Academy at the Washington State Criminal Justice Center, where many of our police are trained, and became a certified chaplain. 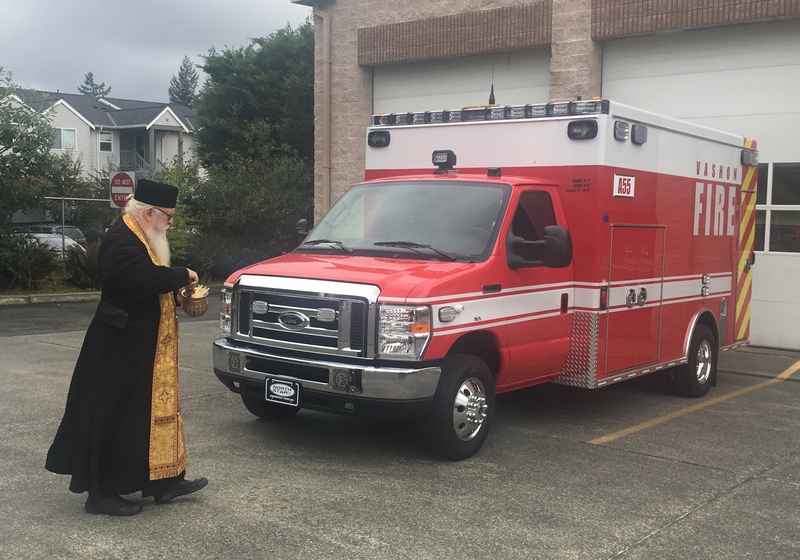 Hundreds of hours of additional training, and membership in the Federation of Fire Chaplains and the International Conference of Police Chaplains, has prepared me for priestly service to the whole of this island community in ways that I would never have imagined. In an age of increasing lawlessness, it is a huge blessing for me to have been called to serve men and women who selflessly place their lives on the line for the rest of us, each and every day. I’ve ridden with medics who’ve saved lives right in front of my eyes. I’ve been on board fire trucks, witnessing firefighters risk their lives to save the homes of fellow islanders. I’ve witnessed Sheriff Department deputies give comfort to the widow of a murder victim. I am grateful to God for the many friendships I’ve formed over these past sixteen years, with police and fire fighters. I’ve shed tears at the funerals of too many officers. I pray daily for the safety and well being of those who serve our communities so gallantly, and ask my readers to unite their prayers with mine. 22nd Sunday after Pentecost. Tone five. Icon of the Most Holy Theotokos “She Who Ripens the Grain”(19th c.). 11 See with what large letters I have written to you with my own hand! 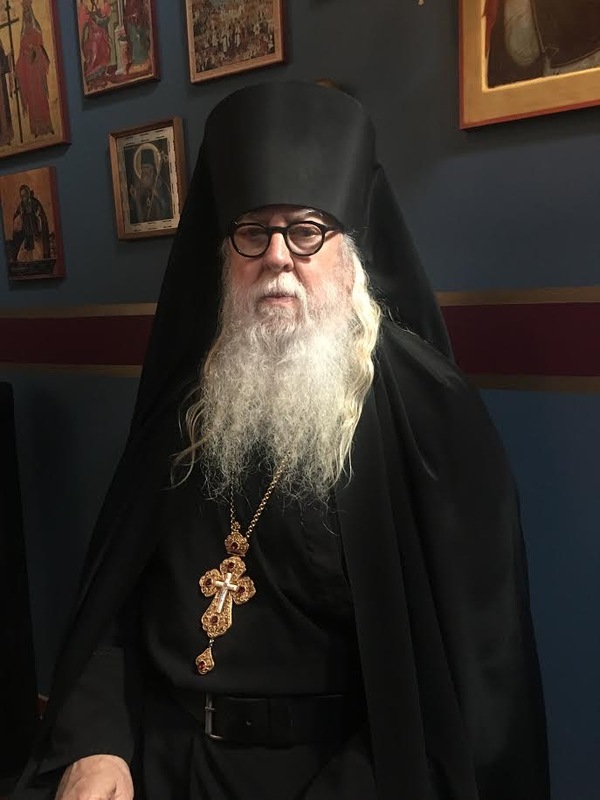 12 As many as desire to make a good showing in the flesh, these would compel you to be circumcised, only that they may not suffer persecution for the cross of Christ. 13 For not even those who are circumcised keep the law, but they desire to have you circumcised that they may boast in your flesh. 14 But God forbid that I should boast except in the cross of our Lord Jesus Christ, by whom the world has been crucified to me, and I to the world. 15 For in Christ Jesus neither circumcision nor uncircumcision avails anything, but a new creation. 11 “Now the parable is this: The seed is the word of God. 12 Those by the wayside are the ones who hear; then the devil comes and takes away the word out of their hearts, lest they should believe and be saved. 13 But the ones on the rock are those who, when they hear, receive the word with joy; and these have no root, who believe for a while and in time of temptation fall away. 14 Now the ones that fell among thorns are those who, when they have heard, go out and are choked with cares, riches, and pleasures of life, and bring no fruit to maturity. 15 But the ones that fell on the good ground are those who, having heard the word with a noble and good heart, keep it and bear fruit with patience. Thank you for your blog today and your ministry of service as a Chaplain. As a Salvation Army officer, I have had this privilege of serving others in this kind of ministry as well. As you have requested, I will unite my prayers with yours for the police and firefighters that you serve. May the Lord bless you and keep you safe as you perform your duties in His name.